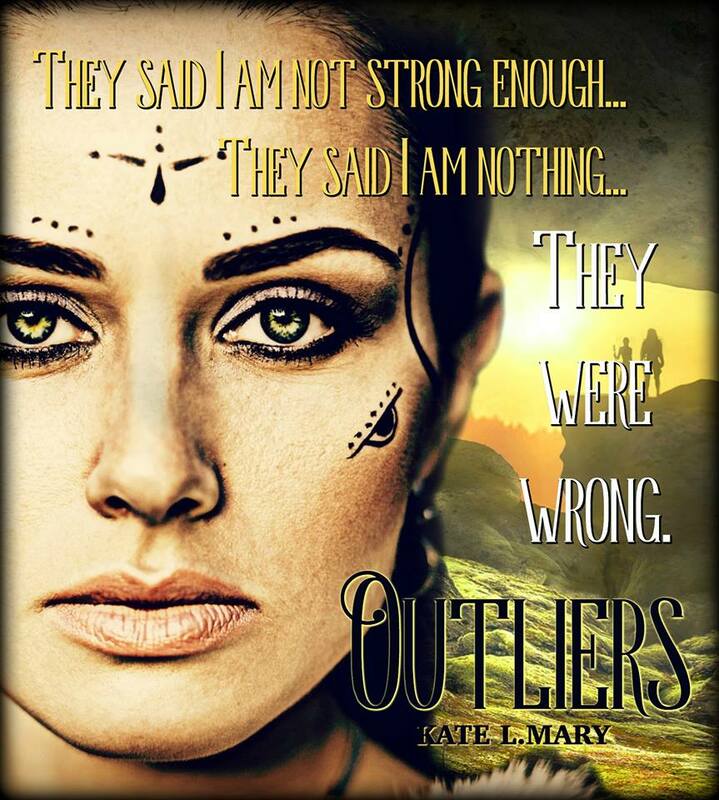 In the dusty ruins of the world, three groups exist: the Sovereign, the Fortis, and the Outliers. Within their walled city, exclusive access to the only remaining technology gives the Sovereign an advantage that seems impossible to beat. In exchange for meager scraps and free reign outside the walls, they use the brawn of the Fortis to their advantage while the Outliers struggle to survive. Living on land that has not healed from the poison of the past, and surrounded by dangers too numerous to count, the Outliers have adapted - but to the Sovereign and the Fortis, they are nothing. Indra is an Outlier. Each day she braves the wastelands, making the dangerous journey from the wilds where she lives to the City so she can serve the Sovereign in order to give her family a better life. Inside the walls, she has no rights and no freedom. Not only is she powerless to resist the Sovereignâs harsh rule, but she is also unable to do anything to save her people from the brutality of the Fortis. 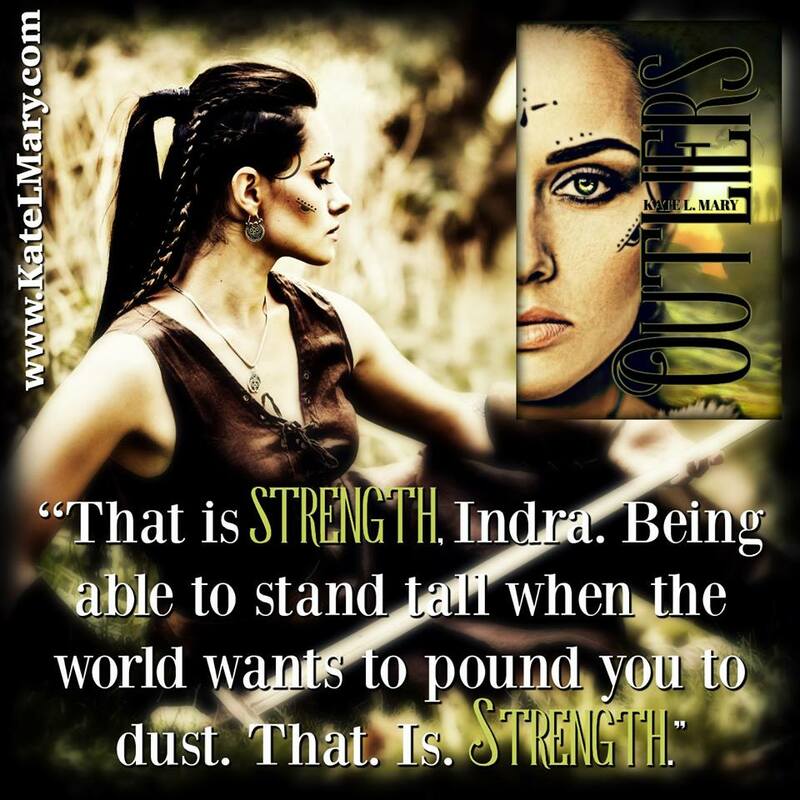 For centuries they have made their abuse of Outliers a sport, but when Asa comes to Indraâs rescue, she sees something different in him. Something that marks him as so much more than just a Fortis guard. But as Indraâs world begins to unravel, even the quiet alliance she has formed with Asa cannot save her from the wrath of the Sovereign. In one life-altering moment, everything Indra has ever known is ripped away, forcing her to face a world even more harsh and unforgiving. 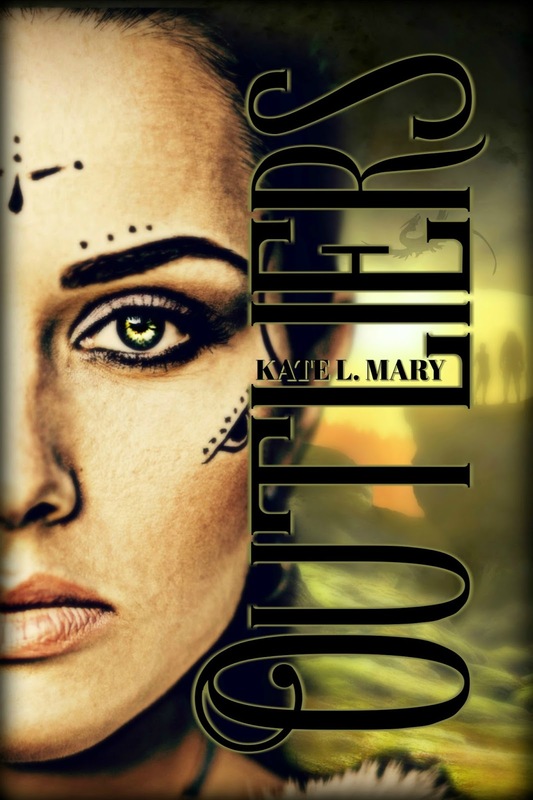 Broken and scarred, Indra finds herself on a journey that will challenge everything sheâs ever been taught, learning along the way that sheâs stronger than she ever imagined. Maybe even strong enough to free her people forever. âHe is in love with you,â Mira finally said. I opened my mouth to argue with her, but no words came out. She was right. Sovereign, Outlier, Fortis, we were all just people. The only thing that kept us apart were the walls that had been constructed years ago, both the physical ones and the ones that existed only in our minds. Those were built on oppression and prejudices so old that no one alive today had a clue why they even existed. A click echoed off the rocks at my back, followed closely by a few more. In front of me, my friendâs body went rigid. I spun to face the cliffs, the knife in my hand up and ready as more clicking rang through the air. But there was nothing in sight. Not yet, anyway. âWhere is it?â Mira hissed. At my side, she too had her knife up. This was a position we had been in before, and as long as there was only one of the creatures, we knew what to do to defend ourselves. The problem would come if they were hunting in a pack. One lygan was dangerous enough, but four or five? We would not be able to beat that many. We remained still. The clicks grew closer together and louder, but with the way the sounds echoed off the rocks, it was impossible to tell how many there were until the creatureâor creaturesâdecided to show themselves. âBe ready,â I said for my benefit as much as for hers. The hiss came first. It was a sound that was low and seemed to come from the deepest part of the animalâs belly, and it was followed only a beat later by the appearance of the lygan itself. The creature was bigger than average, its tail as long as my arm and its body only a little shorter. Its claws clicked across the rocks as it scurried forward, seeming to move at an impossibly fast speed considering its stunted legs. The red and purple scales shone even in the limited light of the evening as the lygan twisted between the sharp rocks that made up the cliffs. Now that it was closer, the click of its claws seemed twice as loud, and when it hissed a second time, the sharp points of its teeth were visible. Readying myself for a fight, I planted my feet. I knew from experience that the creature would pounce without warning, that was how Mira had been injured before, and I was ready when it finally flew through the air, headed right for me. I slashed my knife up and the blade hit home on the lyganâs stomach. It screeched just before its body slammed into mine, and when I flew back a cry retched from my body on impact. We went down together, my back slamming into the dry ground and the lygan landing on top of me. It was injured and my knife was still in its belly, but it had not given up yet. The animal wiggled and snapped its jaw, and his teeth came close enough to my nose that I felt its moist breath against my face. His yellow eyes were focused on me, the black pupils dilated to slits. The scales were smooth against my hand when I grabbed its neck in an attempt to hold him back, and his claws scratched at my body as he tried to get the advantage. Miraâs voice seemed far away, but I knew she was nearby and ready to help. Just as I had been with her the day she was attacked. Her face appeared above me. The setting sun shone down on her blond hair, making it glow, and in the brilliant light her passage markings seemed twice as dark against her pale skin. The sun reflected off the metal when she raised her knife and I had to turn my head away. My hand was still on the lyganâs neck, holding the thing back as it snapped its teeth, but even before Mira had stabbed it I could feel its strength waning. Then she did, and when the knife entered the lyganâs body, the creature let out a shriek that left a ringing behind in my ears. The lygan jerked and its claws clamped down on my stomach, puncturing my dress and forcing a scream out of me. Mira pulled her knife from the creature and brought it down again, and this time the animal let out a drained wail that was preceded by its entire body going slack. When that happened, its claws relaxed as well, freeing me from the piercing hold it had on my body. I shoved the animal off and it rolled to the ground at my side. Mira was panting, as was I, and for a beat neither one of us moved. She stayed frozen, standing over me while I remained on my back, staring up at her.